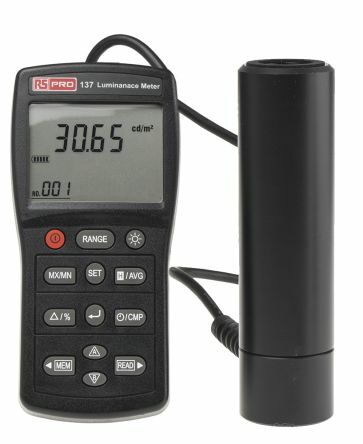 The Light & Electromagnetic Radiation Measurement range from RS is certain to have what you need. 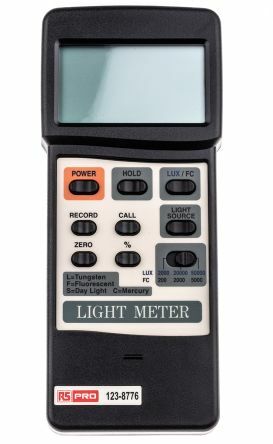 You'll find light and solar power meters, UV testers, gaussmeters plus microwave and emission detectors from top brands like Testo and ISO-TECH. 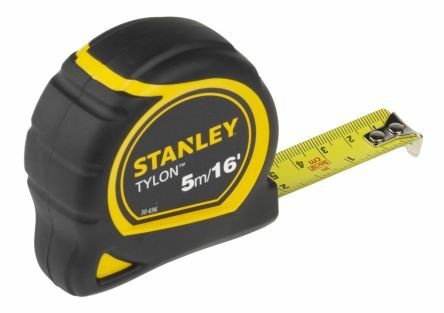 In our comprehensive Weighing Scales guide, we look at the different types and some key considerations when purchasing weighing scales for the job in hand. 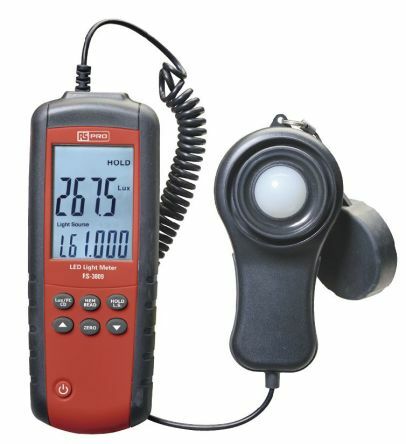 RS Pro digital light meter, ideal for a variety of industires such as lamp manufacturers, building and interior design. 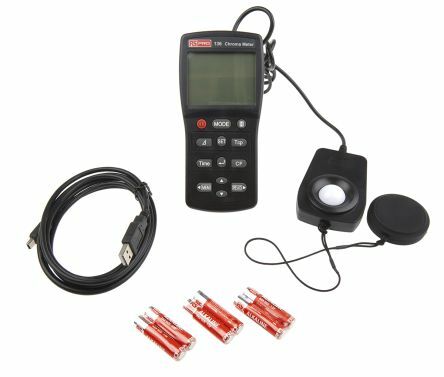 Triple Display, 4-digit LCD reading.LED Color Bin select Function (x,y) or (Tcp,▲uv).User calibration function.User reference value setting function.Illuminance maximum/minimum measurement function.Data Hold function.Data memory and read function.Data logger function.USB Interface.